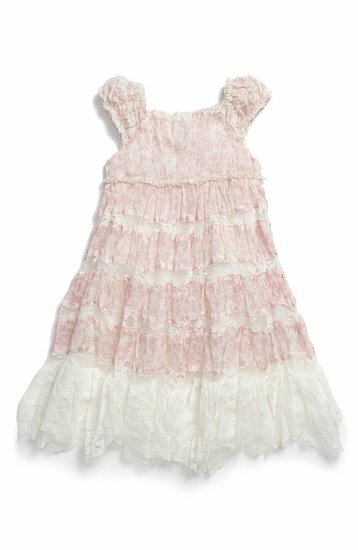 Biscotti Dresses *Belle Fleur* Delicate lace insets and ruffles embellish a lovely floral print dress, detailed with shimmering beads at the Empire waistline. Back tie to ensure the perfect fit! Fully lined. Fabric Content: Polyester/nylon; machine wash.